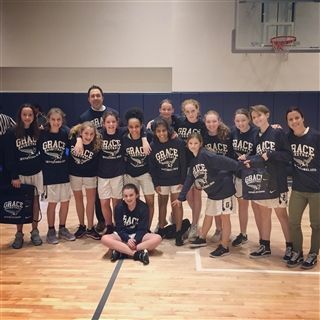 Congratulations to the 7/8 Girls Basketball Team for winning the Grace Invitational Tournament yesterday! The annual tournament included Berkeley Carroll, Avenues and St. Ignatius, and the championship game was played in the new gym at 46 Cooper Sq. They won in convincing fashion, 32-13. It was an outstanding performance by everyone! And be sure to come cheer on the Boys 7/8 team next week when they play in their own Grace Tournament on 2/13 and 2/14. Check the calendar for more details.